Preheat oven to 190°C/375°F. Slice chicken breast into strips. Mix honey and garlic powder in a bowl. Put breadcrumbs in a separate bowl and combine with chili flakes and chili powder. Marinate chicken strips in honey and garlic mixture for approx. 2 – 3 min. Ensure they are fully glazed. 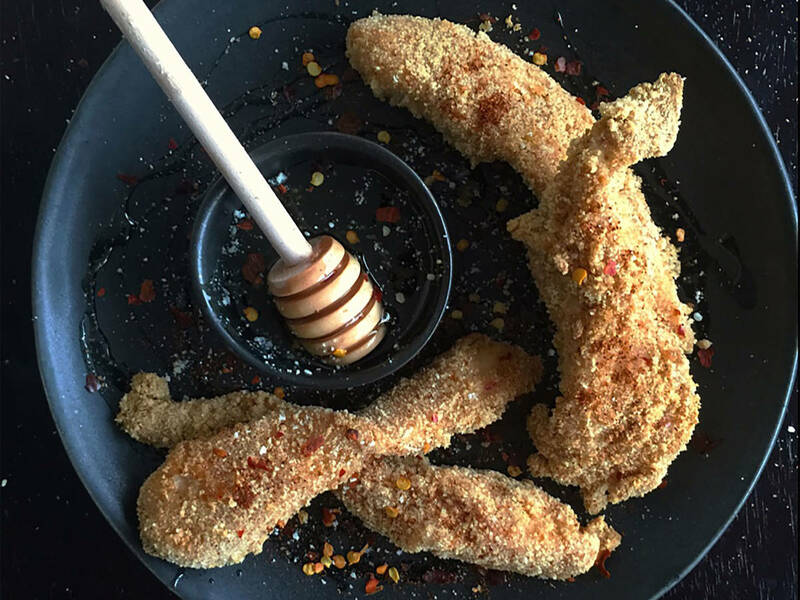 Coat chicken strips with breadcrumbs and place on baking sheet. Bake in oven at 190°C/375°F for 15 – 20 min. or until golden brown.